I will be the first to admit, I can be a bit of a makeup snob! I’m absolutely aware that there’s some amazing dupes, but I don’t get the same buzz from a Superdrug or Boots bag, that I do a Selfridges or Chanel one (don’t try and lie and say you do). 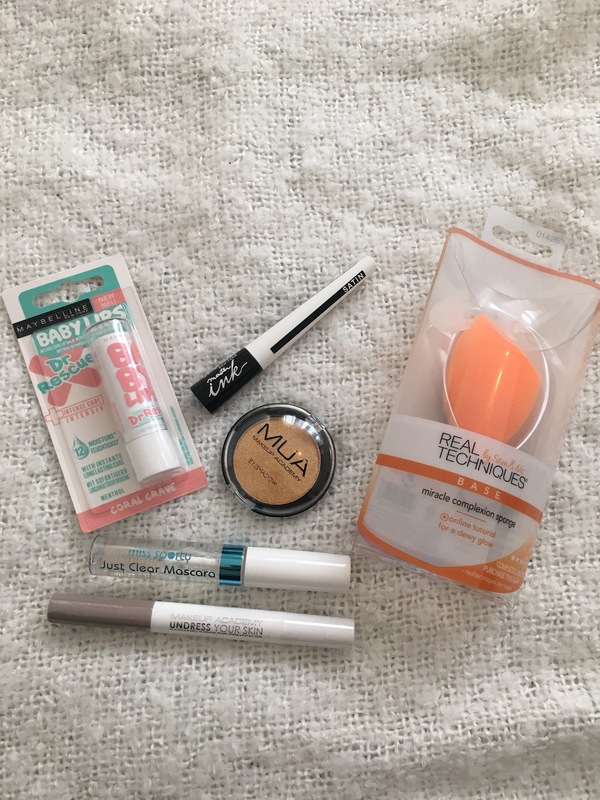 That being said, I do like to dabble with some high street/drugstore brands for those non-necessity items or ones that I won’t be using on a daily basis. We all love a bargain. I took a wander into town today and stopped by the 3 for 2 offer in Superdrug. There was a couple of basic things I needed but as always, I spent ages browsing allllll of the makeup. 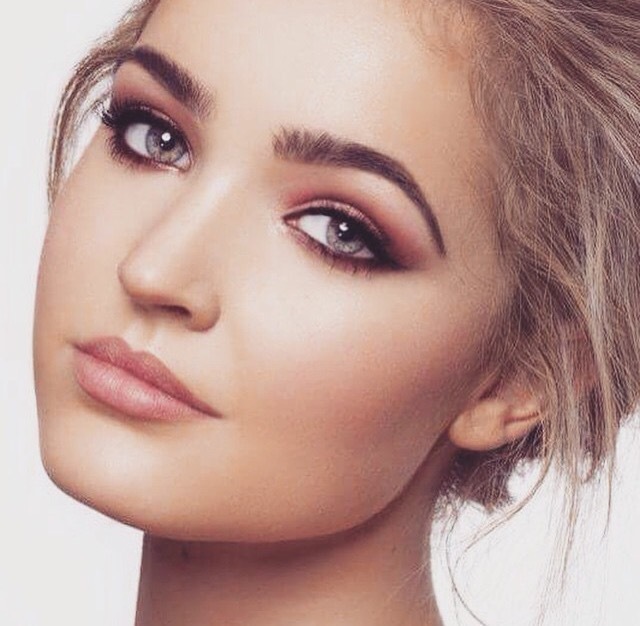 I’m always drawn to the MUA stand, they seem to always be up to date with the latest beauty hypes and they’re popping up on blogs all over the place. Not to mention it’s incredibly cheap! I decided to try out their radiance under eye concealer as soon as I’ve bought it home. It doesn’t leave fine line creases like a lot of concealers I’ve tried which is good, however I hadn’t realised there’s a light shimmer to it. So I will see how I get on with it properly over the next few days! I’m not too worried at just £2.99. Also from MUA, an eyeshadow called ‘Golden’. I’m always a fan of warm colours on the face with golds and bronzes being my favourite so I thought I may as well test it out for the this summer at only £1! I needed a clear mascara for my brows after being constantly told by my brow queen Ella that I need to push them up with it each day. I’m on a quest for absolute super model brows, so I’ve been brushing them up constantly but this will just help them stay in place a little longer. Since the quality wasn’t really important for this, I just went for the £2.99 Miss Sporty clear mascara. Next up, Maybelline New York – Master Ink in satin. This is a black liquid eyeliner. There was the choice between Matte and Satin and I had no clue if I’m honest but I went for Satin anyway which came in at £4.99. Also from Maybelline, the Baby Lips Dr Rescue in Coral Crave. I like to pop on some lip balm whilst I do my makeup in the morning and throughout the day, there’s nothing worse than flakey lips! I’ve had a Baby Lips already but it was a little too pink, this is pretty much clear and has a light tingling sensation! Finally, the Real Techniques – Miracle Complexion Sponge. I’ve wanted one for a while but actually been using some I got from Primark which I do love! It’ll be interesting to test the two against each other. I will do this in another blog post to test whether price really does mean quality! Today I had a lovely delivery of the Real Techniques Bold Metals which I’ve wanted for ages! A powder brush, blush brush and eye brush which also will be making an appearance on the blog, since they’re too pretty to miss! What are your favourite drug store products or what high-end products could you simply not substitute? I generally have 2 styles of eyebrows that I flick between. I either have overly-threaded brows by a lady in a little kiosk who nods at my ‘don’t do them thin’ yes goes on to thread to within an inch of life. Or there’s my ‘I’m growing them out’ phases which really means I’ve just not been in ages to get them done. Neither style is ideal but after a bit of pencilling them in, they’ll do just fine. I dream of growing big fashiony brows like Cara Delevigne, but you have to work with what you’ve got! One of my dear friends Ella is a HD Brow specialist with probably the best brows you’ll ever see (@EllaRavenscroft) and she persuaded me to let her loose on my own brows. At this point they’re in a mid-stage where they’ve not been threaded in a few weeks but they’re not wildly over-grown. So, in the consultation phase, I discussed with Ella that I don’t want them dark, I like them as thick as possible and a good arch. She explained that whoever had been threading my brows had been absolutely butchering them and even trimmed them unevenly. I know brows are supposed to be ‘sisters, not twins’ but you want some sort of identification that they’re actually related. Ella tinted, waxed, threaded and plucked my brows, leaving me nervous that there would be nothing left and telling her I’ll kill her if they’re really thin. I couldn’t beleive my eyes when I looked in the mirror and my brows were somehow THICKER than before all the threading and waxing? Ella is a brow genius. They also look natural and not too dark but tidy and groomed. It’s been a glam few days for me, having my nails, brows and hair done so I’m feeling gooooood. What beauty treatments can you not go without? Check out my Instagram @heliemac1 later today to see my new brows. If like me, you blondies don’t like the over-done, super-dark brow look, then you will love this product. 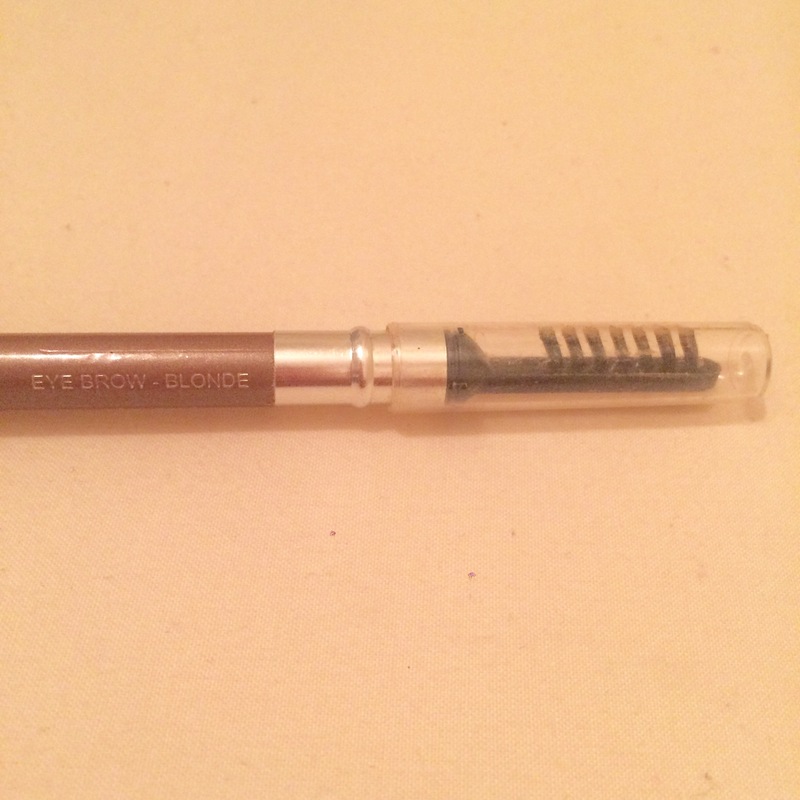 I purchased it on a whim when trying out a few brow products and I actually love it! I find that most pallets and pencil leave my eyebrows overly dark or if they’re for blondes, slightly ginger! 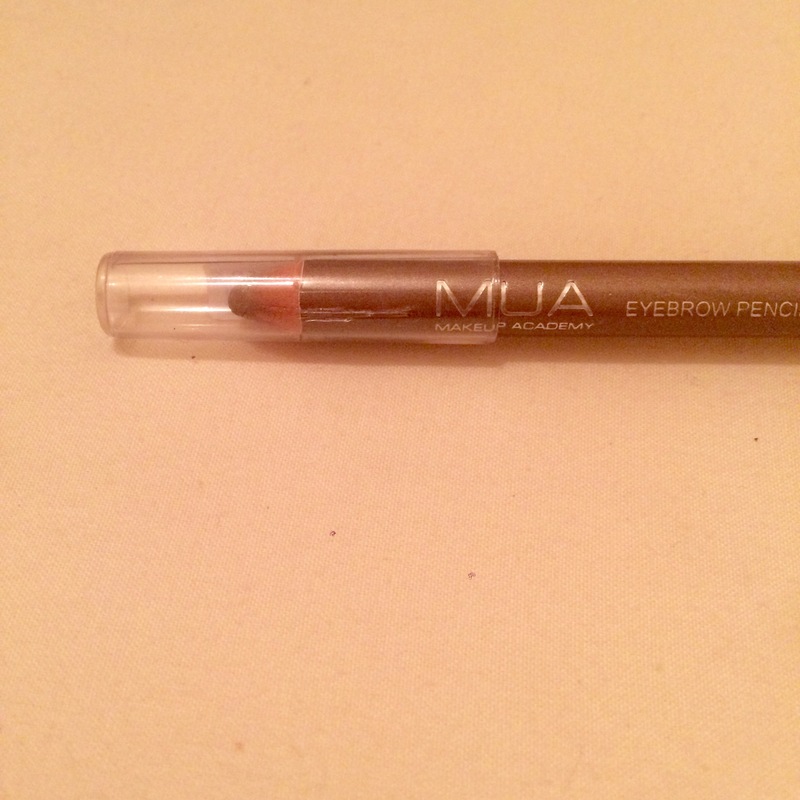 This eyebrow pencil is ONE POUND. £1. 100p. Yep! It has a lovely golden tone to it that’s dark enough to highlight the brow shape, without over doing it. It also comes with a bristle brush at the other end to blend your inner edges and brush your brows into place. The only negative I have about it is how soft it is. I find I have to sharpen after every 1/2 uses so it doesn’t last that long. But at £1 who cares? So leg it down to your nearest superdrug and stock up! 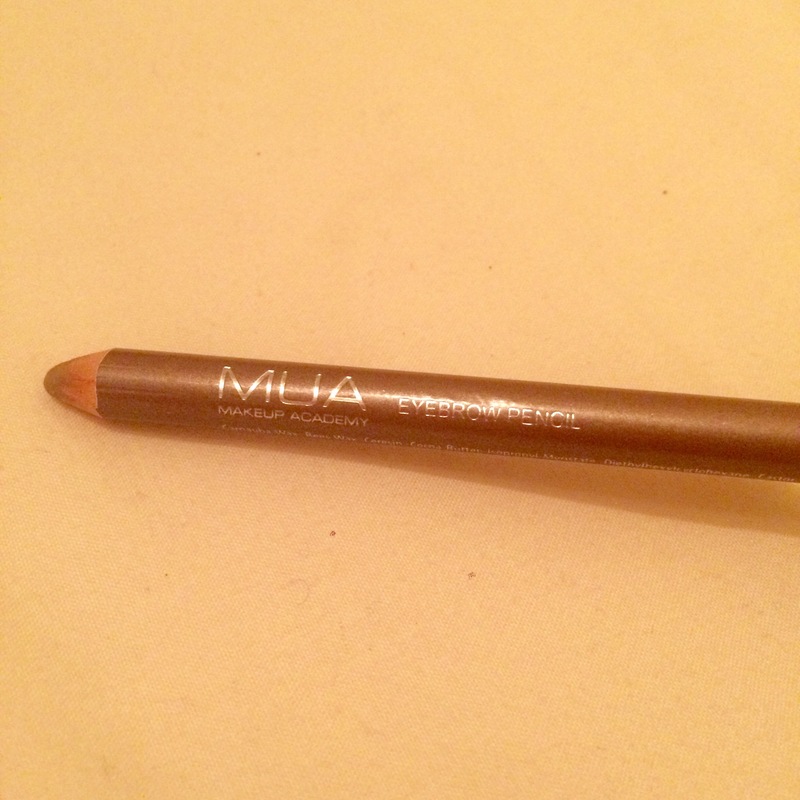 Brow pencil: MUA Eyebrow – Blonde.